Businesses today need to be unique to stay ahead in the race for reaping the desired revenue and sales. ISO certification is of utmost importance here, because it will assist your business to stay unique, reliable and ahead in the competition. Further, Six Sigma will help you to boost the reputation of your organisation on a global level. However, you will find various types of ISO certifications or ISO standards, you ought to opt for the suitable standard depending on the industry or profile of your business. Some of the most sought after and common ISO standards are ISO 9001, ISO 27001, ISO 17025 and ISO 14001. After making up your mind to obtain an ISO certification for your organisation, you will require certain expert assistance, because it is very difficult to get an ISO certification without a professional assistance. Global Manager Group is aware of this and therefore, provides its highly reliable and expert assistance for ISO certification and solutions for six sigma training in Saudi Arabia, London, Canada, South Africa, UK, USA and various other corners of the globe. ISO 27001: The ISO 27001 is very essential for the sustenance and development of your business. It is the most vital ISO standard for the management of information security. By getting ISO 27001 from Global Manager Group, you secure the integrity and privacy of information in your organisation. This particular ISO standard not just concentrates on information technology arena in your business, but it also focuses on various other important aspects in your organisation. ISO 17025: This particular ISO certification accredits the testing and calibration lab in an organisation. In fact, the ISO 17025 standard accredits the technical requirements as well as the management tools to ensure that the lab is equipped to perform several testing and calibration tasks. ISO 14001: Organisations all over the globe influence the environment in some or the other way. ISO 14001 certificate protects your business if you get trapped into some legal problems for breaching environmental rules. 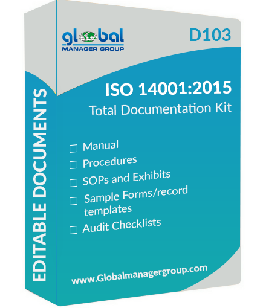 Moreover, ISO 14001 certificate is fully compatible with ISO 9001 and ISO 27001 standards. Six Sigma experts at Global Manager Group are competent to guide your employees about the boons of Six Sigma to your business.